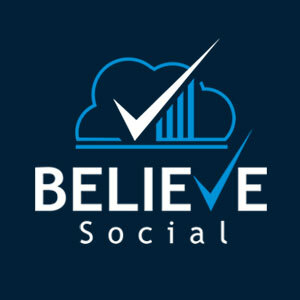 BELIEVE Social is a professional team that has come together to combine our experience and knowledge in the marketing, search engine optimization, and social media management industries to form a company that provides customers with a professional social media management service. After years building numerous online businesses, we now make our social media management services available to companies, individuals, and marketing firms that are seeking to build and sustain a social media presence that can connect with target customers as well as industry influencers. BELIEVE Social is a U.S. based company and we communicate directly with clients to ensure they receive a quality experience with our service. See our social media plans here. Our current social media management client base includes the following industries: Search engine optimization, dentistry, home improvement, financial investment, business coaching, education, law, health, small business, and many more. Our services can suit your company’s particular needs, and we work directly with you to ensure we achieve your goals together. Contact us today to further discuss the vision and goals you have for your company and how we can help achieve them. BELIEVE added thousands of real fans and followers, as well as brand influencers, who interact with our social media accounts and make purchases on our website. BELIEVE Social brought our site back from the dead. Now we don’t even worry about SEO or search engines, because we have so many relevant followers who interact on a daily basis, and our reach is constantly expanding. I don’t trust my clients to just anyone. There are a lot of so-called social media experts out there, but BELIEVE is the only company I have found that I can trust to post relevant quality content and interact with followers in a professional manner. Your clients need social media, but you might not know how to provide it. BELIEVE Social takes care of that for you.